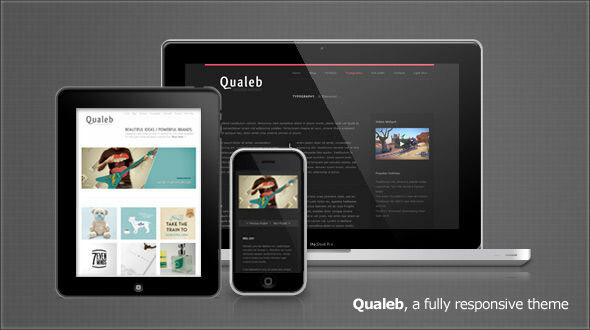 Qualeb is a fully responsive (Try resizing your browser) Business, Portfolio and Agency WordPress theme that will adapt to any screen size all the way down to mobile. You can now show off your work in an elegant and professional manner, without penalizing mobile and tablet users. Everything in the theme is responsive, even the slider (touch swipe enabled), the tabs, and the embedded videos!